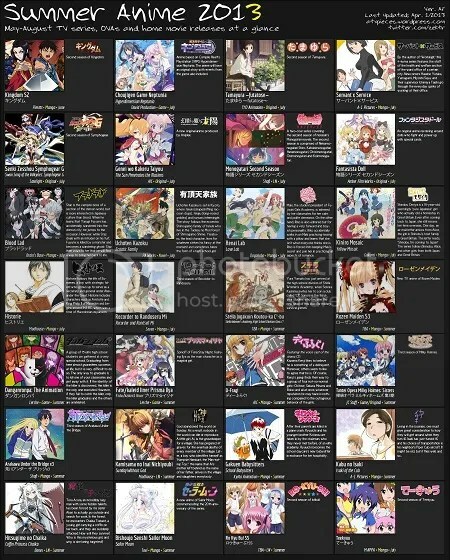 July 21, 2014 July 21, 2014 Passerby AnimeGenei wo Kakeru Taiyou, Impressions, Kami nomi zo Shiru Sekai, Kami-sama no Inai Nichiyoubi, Monogatari, Summer 2013, too many tags, Watashi ga Motenai no wa Dou Kangaete mo Omaera ga Warui! Is it even useful having the chart here? 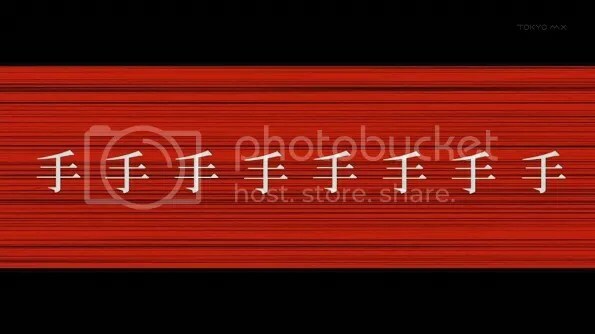 Can anyone even read it? As much as I’d love to be able to watch every single show this season and have running commentary for all of them, that’s really isn’t feasible. So here’s what we’ll do: I’ve watched the first episode of 5 shows this season. There will be no summaries and no real spoilers, just first impressions. Low calorie fun for everyone, and maybe something useful for those still deciding on what to follow. It was either this or the crossroads (oooh, symbolism) or various head tilts. Those who watched the previous __monogatari seasons will know that it is a very dialogue heavy series. So extraordinarily so, in fact, that I’m not sure you’ll miss out on all that much if you lift the audio from the anime and turn it into a radio drama. That’s ostensibly what the original novel was like, though, so props to Shaft for trying to keep faithful while also trying to keep the screen interesting. I don’t necessarily agree with all the design decisions–there is a real line between interesting and distracting, and there really isn’t any need to be meta to be abstract–but at least they’re trying something. On top of that, judging from the first episode, Monogatari is still chock full of all that good stuff that drive translators mad: chained puns, Japanese mythology references, and subtle character interaction. If you’ve watched the previous seasons you’ll know if you’ll like this one; if you have not, do give it a try. It’s pretty good. This seems to be our big fantasy anime this season and true to form it spends much of the first episode explaining little except for its conceit: no one can actually die without being inhumed by special ‘Gravekeepers’. If that sounds like Neil Gaimen and Terry Pratchett getting together again to write fan fiction about Final Fantasy 10…well, I guess Kaminai isn’t necessarily anything revolutionary. Still, it’s only episode 1 and we still know sparingly little. It’s possible that the show will open up into something deeply philosophical about death (not a bad bet) or spiritual about an absentee God (unlikely for Japan). The setting does intrigue. What I know about Tarot comes mostly from playing Tarock, but I’m fairly sure she screwed up the Celtic Cross. Let the Madoka Magica x Jojo’s Bizarre Adventure comparisons commence! 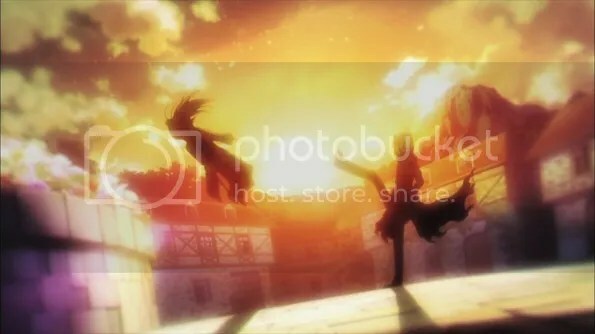 And, er, Shakugan no Shana, I suppose. The Madoka comparison is not inapt, of course, both being darker magical girl shows with a motif of choice. 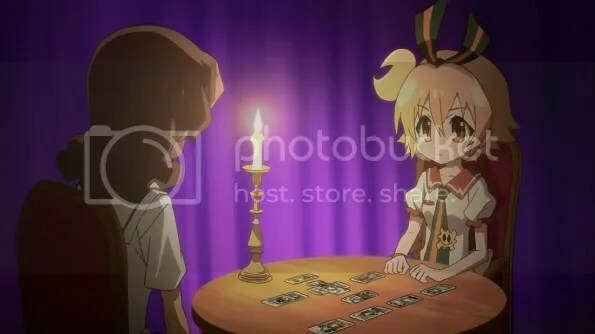 This time it’s Tarot instead of Faust. Now, I don’t know a great deal about fortune telling myself but I don’t think you need to; Genei wo Kakero Taiyou lays on the symbolism thick and heavy with no pretence of subtlety. It’s not like you needed to have read/watched/listened to any incarnation of Faust to know what a deal with the devil is, though I guess it might help. If you don’t feel like getting into the wealth of (perhaps overused in fiction) symbolism of the tarot, Genei wo Kakero Taiyou is still a very stylish show with some quite flashy animation when they at last get down to it. There’s a more generic magical girl show in Fate/kaleid liner (even though it’s a spin-off) this season, so there may be interesting comparisons to be had. So I tried to do something clever with the image but it turned into some deformed Batman villain instead. I put these two shows together because they coincidentally have a rather interesting dichotomy this season (and not just because of the overlong titles). The protagonists of both shows can be unfavourably described (by their own shows) as “losers” and prefer the comfortable escapism of their games to confronting reality. But while Kaminomi’s male lead Keima turns out to actually be brilliant and charismatic, Watamote’s female lead Tomoko has no redeeming qualities whatsoever. 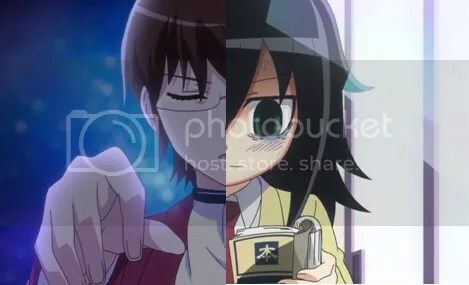 Tomoko tries to nominally reintegrate into society; Keima is forced to. Keima successfully applies his 1337 dating sim skills to real life. Tomoko…fails. Both shows can be considered comedies, but while Kaminomi is ultimately lighthearted, Watamote is very dark. Remember Welcome to the NHK? Similar smell. Laugh away, but remember to feel bad about it afterwards. I probably won’t be following all of these all the way, and I may pick up other stuff as they are broadcast/recommended. It’s still a bit early to make judgment calls; watching whatever at this stage is fine with me.